‘War Party’ fully releases March 28. Video games can take your wildest dreams and make them real. Well, virtually real. But have you ever dreamt of fighting and taming dinosaurs and controlling the stone age? If you answered yes, then “Warparty” is the game for you. 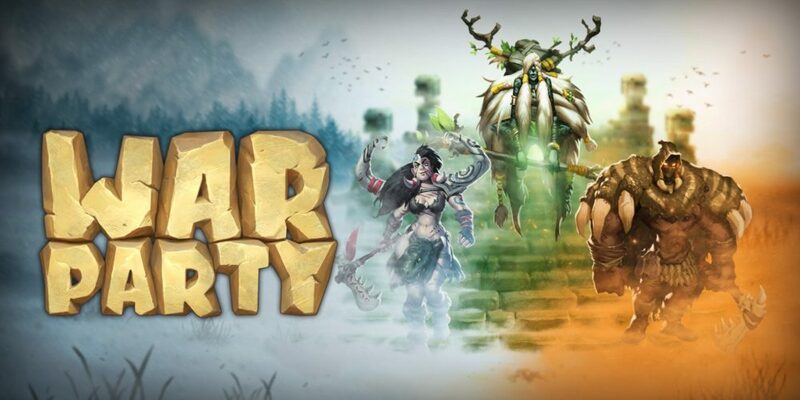 Created by Warcave and Crazy Monkey Studios, “Warparty” is a real-time-strategy game that will be coming out on PC, PlayStation 4, Xbox One and Nintendo Switch March 28. In the world of “Warparty,” civilization was once steeped in magic and technology before eventually falling, leaving behind relics and buildings to be lost in time. The wild beasts and dinosaurs now roam as they once did. Tribes of men have appeared and have grown up in this fierce environment. Using tools and whatever the fallen civilization had left behind, people now fight to put a claim on the limited resources of the world. In this game, players will use powerful creatures and artifacts to shape their civilization, overcome rivals and become the rulers of everything. “Warparty” does not currently contain a campaign, but one will be out soon, according to the developers. However, there are still plenty of features in the current game worth mentioning though. The three factions in “Warparty” are the proud Wildlanders, the frightening Necromas and the vengeful Vithara. Each have their own unique units, buildings, talents and play style. For example, some of the unique units these factions can field are versions of triceratops, tyrannosaurus rex and even giants. This mode allows a player to pick their favorite faction and then fend off against waves and waves of enemies with increasing difficulty. The number of waves cleared can earn a spot on the leaderboard. Pick a faction to fight as or against on a variety of themed maps to spar the artificial intelligence. This can be done on your own offline or with friends using the available online mode. In online multiplayer, players can create and join games. These can be either hosted by yourself or you can find a random game with new players to face. As with Survival Mode, winning matches and battling other players in a ranked multiplayer match will increase your skill and earn more points to climb higher on the leaderboard.